Sickness and disability policy reform has been a priority for OECD countries wanting to improve employment and social outcomes in this domain. The recent recession and corresponding fall in labour demand is expected to hit marginalised workers, including workers with health problems or disability, harder than the broader working-age population. There is a pressing need for policy makers to address the recent “medicalisation” of labour market problems, a phenomenon that appears to underlie much of the difficulties countries find in disability policy making. 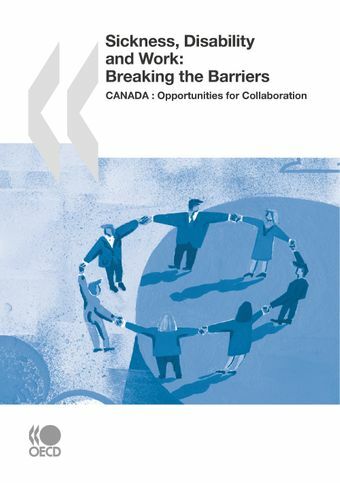 This report is an assessment of the Canadian situation, albeit through the lens of the federal government and the provinces of Québec, British Columbia and Manitoba. It looks at the current state of play following a decade of various reforms and preceding a period where further revisions are likely. Access Excel version of all figures and tables of the report.